Working with clients from the concept stage of a project is one of the most rewarding aspects of our work at Progress. 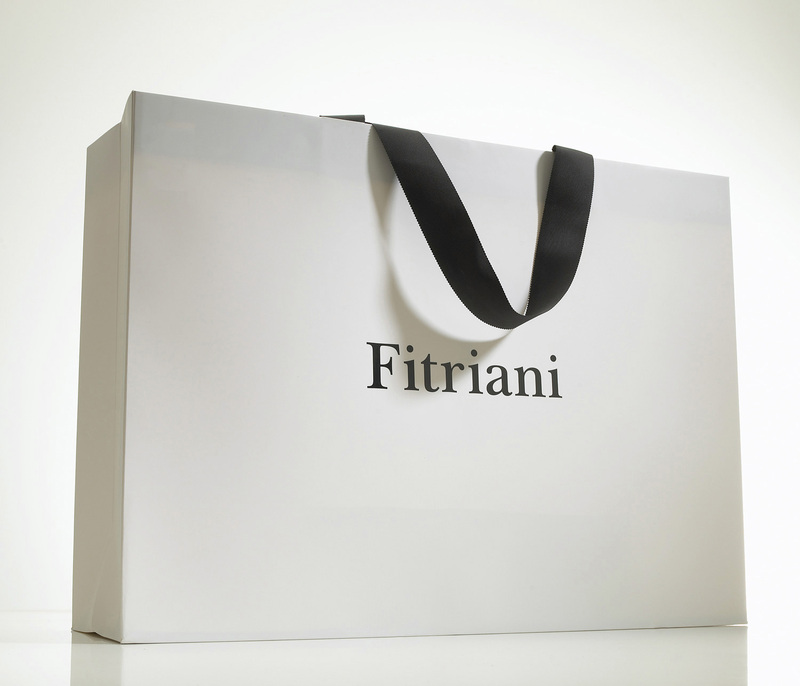 When invited to work alongside Human Studio to help develop and manufacture a new range for female fashion brand Fitriani, we jumped at the chance to offer our skills and expertise in luxury packaging production. 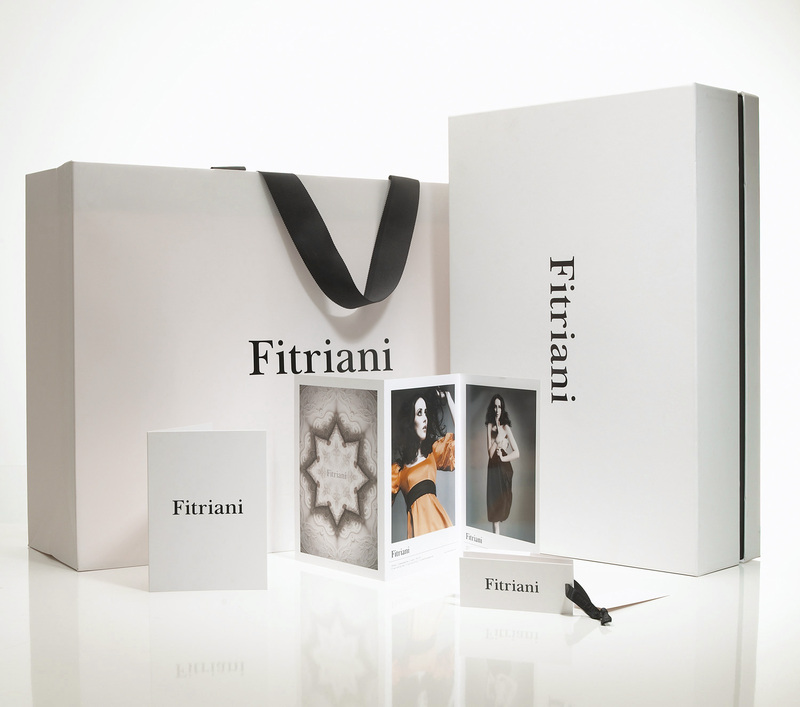 The packaging collection included a shoulder box to house the high quality, and often heavy, dresses. Covered in Fedrigoni paper, using a white stock on the outer and a contrasting black for the shoulder, the identity was black foil blocked centrally on the lid. 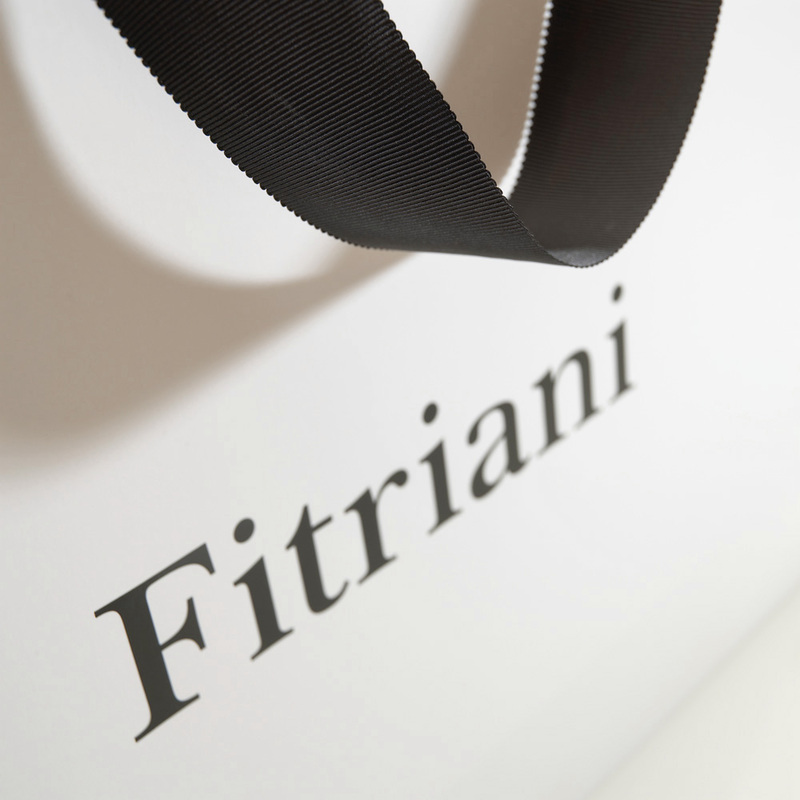 The bags were made to match from printed and laminated paper that was foil blocked on the outer and fitted with grosgrain ribbon handles for an additional touch of elegance. Non-woven polypropylene dress carriers were also produced, printed economically in just a single colour. Matching printed hanging tags and receipt holders completed this classically beautiful packaging range.